Basic Carb Functionality and the 3 Things mostly likely to Mess it up! Engines need fuel to provide the energy needed to produce power. 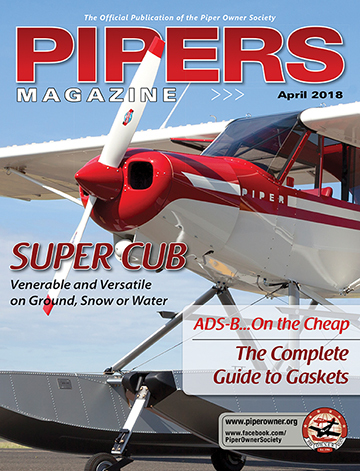 Most planes in the general aviation fleet employ a carburetor to provide a combustible mixture of fuel and air. It is the job of the carburetor to measure the amount of incoming intake air and meter out the proper fuel/air ratio to the cylinder intakes. The majority of carburetors used in general aviation are the float-type. This means that the carburetor has a bowl which is filled with fuel to a level regulated by a float attached to a needle valve. Fuel enters the bowl through a strainer which filters the fuel. As the fuel level increases, the float rises and the needle valve, which is attached to the float by a lever, closes and shuts off the fuel flow until the float level drops again. Air enters the carburetor and travels through a venturi. The venturi accelerates the airflow and causes the pressure of the air to drop. A nozzle is placed in this area of low pressure and is connected to the fuel bowl. The low pressure creates suction on the nozzle and fuel is discharged into the air stream. As the fuel is discharged it also vaporizes. The venturi in the carburetor is the subject of a couple of FAA Airworthiness Directives. The two-piece styles atomize the fuel better, but sometimes come loose. The one-piece styles don’t come loose, but sometimes require a new nozzle to help properly vaporize the fuel. 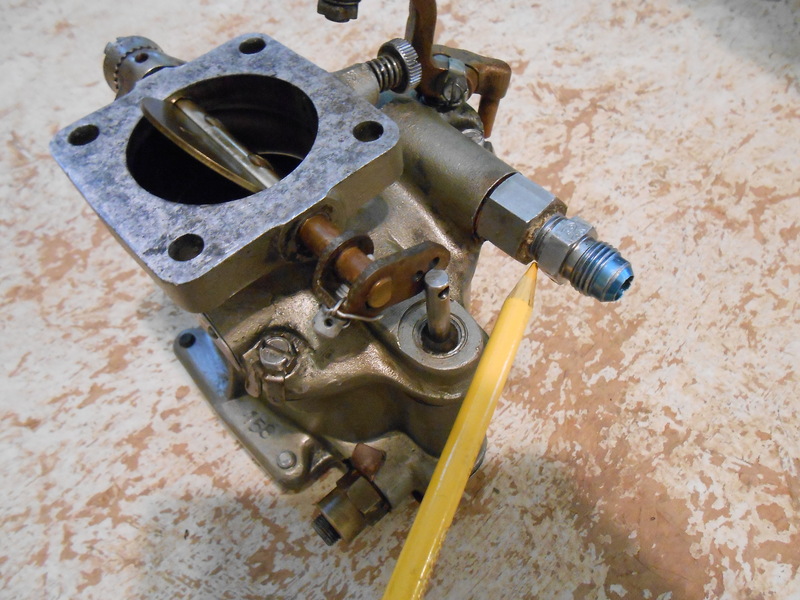 The mixture control on the carburetor controls the amount of fuel coming out of the discharge nozzle. The throttle controls the amount of suction, but the mixture controls the amount of fuel, and allows the pilot to adjust the fuel-to-air ratio. When the throttle is opened rapidly, the airflow increases suddenly and there is a slight delay in the suction on the nozzle increasing the fuel flow to meet the increase in airflow. In order to compensate for this, some carburetors use an accelerator pump. This is basically a “plunger” that shoots extra fuel into the air stream when the throttle is advanced rapidly. #1. Stagnant Automotive fuel – Automotive fuel can cause problems if the plane sits for long periods of time. The mixture control ends up getting seized in the idle cut-off position. The mixture control lever is connected to a mixture valve metering sleeve through an arm that is comprised of a tightly-woven spring. The metering sleeve can become seized in the brass housing in the carburetor. Once the mixture control is shoved forward in the cockpit, the spring arm of the metering valve gets mutilated because the bottom part is frozen in the carburetor. Repair requires disassembly of the carburetor. #2. Corrosion – Corrosion, as the result of water contamination, is another common problem with carburetors that sit unused. The clip that the float mounts on is made of steel and can rust significantly if exposed to water. The same is true of the spring arm on the mixture control metering sleeve. Even the accelerator pump plunger has a steel spring (under the leather) that can corrode. #3. Time and Wear – Of course, general wear and fatigue will also cause carburetor problems. The accelerator pump is connected to the throttle mechanism through a horseshoe-shaped metal clip. This clip often wears out. Over time, the throttle butterfly valve shaft and the mixture control lever in the carburetor housing also wear, as do the needle valve and seat. TIP #1: Find a cleaner that is strong enough to remove varnish, yet gentle enough to prevent damage to any non-metallic parts. Cleaners that immerse the carburetor in solvent are too strong. In fact, Marvel Schebler has a service bulletin requiring the replacement of non-metallic parts that have come into contact with this type of cleaner. TIP #2: Completely remove the inlet screen for cleaning. Attempting to blow compressed air through the inlet can damage the float.